The extraordinary soft white powdery sands and the tranquil azure waters of the Gulf of Mexico combine to make Siesta Key Beach one of the most beautiful beaches in the world. Just awarded the #1 Beach in the U.S. In February 2017 by TripAdvisor. 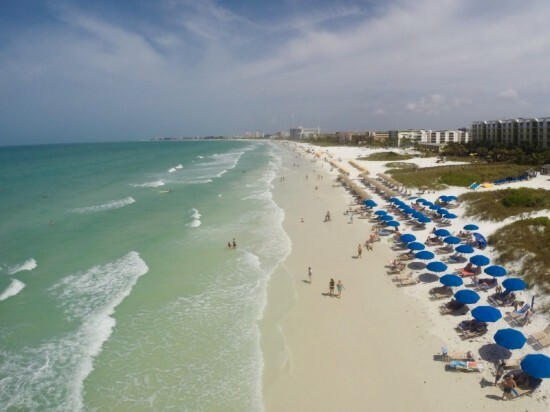 In addition, in 2011 Siesta Key Beach was ranked #1 by Dr. Stephen P. Leatherman, known as Dr. Beach in his annual ranking of the best beaches in the USA. Siesta Key Beach is made of 99% pure quartz and remains cool to the touch on even the hottest summer days. From vacation destination to year round paradise, discover the many lifestyle options available on one of the Sarasota areas largest barrier islands, Siesta Key. From significant contemporary gulf front estates to casual bungalows lining the winding canals, Siesta Key is home to more year round residents than any of the areas barrier islands. Condominiums scattered throughout the island on both the bay and gulf provide seasonal residents with the perfect care-free island getaway.